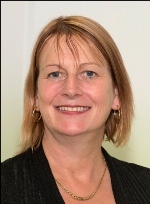 Professor Eimear Muir-Cochrane is Chair of Nursing (Mental Health) at Flinders University, Adelaide, Australia. Her career has focused on investigating nursing practice in relation to working with people with mental health problems, in acute and community settings and across the life span. Educational interests have seen the development of teaching materials in virtual reality in blended learning environments, the second edition publication of Mosby’s Pocket Book of Mental Health (2014) and the development of an interactive app in mental health (2014). 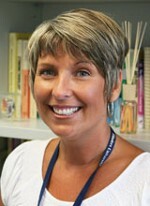 Deb O’Kane is a lecturer at Flinders University, Adelaide, Australia. Her career has spanned the UK and Australia with a distinct focus on promoting mental health practice by collaborating with service users, carers and providers and fostering research partnerships. Deb holds a particular interest in the mental wealth of children and young people after working for several years in this area. She currently delivers training in mental health nursing and continues to be involved in innovative ways of teaching and learning such as the use of virtual reality and developing accessible applications for mobile computing. Her work has led to a number of publications.